Dr Dunn is Associate Professor of Pediatrics and Director of Pediatric Hematology and the Hemophilia Treatment Center at Nationwide Children's Hospital/Ohio State University in Columbus, Ohio. 1. Dunn AL, Powers JR, Ribeiro MJ, Rickles FR, Abshire TC. (2000) “Adverse Events During use of Intranasal Desmopressin Acetate for Haemophilia A and von Willebrand Disease: a Case Report and Review of Forty Patients”. Haemophilia; 6:611-614. 2. Dunn AL, Busch MT, Abshire TC. (2002) “Radionuclide Synovectomy for Hemophilic Arthropathy: a Comprehensive Review of Safety and Efficacy and Recommendation for a Standardized Treatment Protocol”. Thrombos and Haemostas; 87(3):383-393. 3. Dunn AL, Busch MT, Wyly BJ, Sullivan KM, Abshire TC. (2004) “Arthroscopic Synovectomy for Hemophilic Joint Disease in a Pediatric Population”. J of Ped Orthop; 24(4): 414-426. 4. 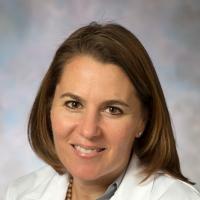 Giulino, Lisa B. MD; Bussel, James B. MD; Neufeld, Ellis J. MD, PhD; (2007) Pediatric and Platelet Immunology Committees of the TMH Clinical Trial Network “Treatment with Rituximab in Benign and Malignant Hematologic Disorders in Children”. J Pediatrics; 150(4): 338-44. 5. Dunn AL, Abshire TC. (2008) “Recombinant Tissue Plasminogen Activator may Reduce Frequency of Central Venous Access Device Infection in Hemophilia Patients Undergoing Immune Tolerance Therapy”. Ped Blood Cancer; 50(3): 627-629. 6. Dunn AL. (2008) “Necrotizing Enterocolitits as a Result of Post-Circumcision Bleeding in a Neonate with Haemophilia A”. Haemophilia, 14:1115–1116. 7. Doria AS, Lundin B, Miller S, Kilcoyne RF (in memoriam), Thomas S, Dunn A, Rivard GE, Babyn PS. (2008) “Reliability and Construct Validity of the Compatible MRI Scoring System for Evaluation of Haemophilic Elbows in Children”. Haemophilia; 14(2): 303-314. 8. Miller W, Dunn AL, Chiang KY (2009) "Sustained Engraftment and Resolution of Bleeding Phenotype Following Unrelated Cord Blood Hematopoietic Stem Cell Transplantation for Severe Glanzmann Thrombasthenia". J Ped Hematol Oncol; 31(6): 436-439. 9. Dunn AL., Cox Gill J. (2010) “Adenotonsillectomy in Patients with Desmopressin Responsive Mild Bleeding Disorders: A Review of the Literature.” Haemophilia; 16(5): 711-716. 10. Dunn AL. (2010) “Malignancy in Patients with Hemophilia: A Review of the Literature” Haemophilia; 16(3): 427-436. 11. Dunn AL (2011) “Pathophysiology, Diagnosis, and Prevention of Arthropathy in Patients with Hemophilia” Haemophilia. 17(4): 571-578. 12. Hay CRM, DiMichelle DM. and the ITI Study Group (2012) “The Principle Results of the International Immune Tolerance Study: A Randomized Dose Comparison. Blood 119(6): 1335-44. 13. Miller CM and the UDC Study Group (2012) “Factor 8 and Factor 9 Mutations in U.S. Haemophilia Patients: Correlation with History of Inhibitor and Race/Ethnicity”. Haemophilia- 18(3): 375-82. 14. Dunn AL, Austin H, Soucie JM (2012) “Prevalence of Malignancies Among U.S. Male Patients with Haemophilia: A Review of the Haemophilia Surveillance System”. Haemophilia- 18(4): 532-9. 15. Miller CH, Platt SJ, Rice AS, Kelley F, Soucie JM and the Hemophilia Inhibitor Research Study Investigators. (2012) “Validation of Nijmegen–Bethesda Assay Modifications to Allow Inhibitor Measurement During Replacement Therapy and Facilitate Inhibitor Surveillance”. J of Thrombos and Haemostas 10(6):1055–1061. 16. Ogawa S, Szlam F, Bolliger D, Ohnishi T, Hosokawa K, Dunn A, Tanaka K. (2012) “Evaluation of a Novel Flow Chamber System to Assess Clot Formation in Factor VIII-Deficient Mouse and Anti-factor IXa-treated Human Blood”. Haemophilia 18(6):926-32. 17. Dunn, A, Meeks, S, Crawford, C. (2012) “Medical Radiation Exposure in Children with Bleeding Disorders: An Institutional Experience”. Haemophilia18 (6):888-891. 18. Lundin, B, Manco-Johnson, M; Ignas, D, Moineddin, R, Blanchette, V, Dunn, A; Gibikote, S; Keshava, S; Ljung, R, Manco-Johnson, M. (2012) “An MRI Scale for Assessment of Haemophilic Arthropathy from the International Prophylaxis Study Group”. Haemophilia-8 (6): 962-970. 19. Balakrishnan, V. Dunn, AL. (2012) “A Case of Pigmented Villonodular Synovitis in Conjunction with a Platelet Release Defect in a Pediatric Patient”. Haemophilia-Mar;19(2):e89-90. 20. Meeks, SL, Chapman R, Kempton CL, Dunn AL. (2012) “Late Immune Tolerance Induction in Haemophilia A Patients. Haemophilia- May;19(3):445-8. 21. Flood VH, Friedman K, Gill J, Haberichter S, Christopherson P, Branchford B, Hoffman R, Abshire T, Dunn A, Di Paola J, Hoots W, Brown D, Leissinger C, Lusher J, Ragni M, Shapiro A, Montgomery R. (2013) "No Increase in Bleeding Identified in Type 1 VWD Subjects With D1472H Sequence Variation". Blood (121); 3742-3744. 22. Miller CM, Rice AS, Boylan B, Shapiro AD, Lentz SR, Wicklund BM, Kelly FM, Soucie JM, and the Hemophilia Inhibitor Research Study Investigators (2013). ”Comparison of Clot-based, Chromogenic, and Fluorescence Assays for Measurement of Factor VIII Inhibitors in the U.S. Hemophilia Inhibitor Research Study" J Throm Haemostas (11): 1300-1309. 23. Boylan B, Anne S. Rice AS, Dunn AL,Tarantino M, Brettler DB, Barrett JC, Miller CH, and the Hemophilia Inhibitor Research Study Investigators (20 ). Characterization of the Anti-Factor VIII Immunoglobulin Profile in Patients With Hemophilia A Using a Fluorescence-Based Immunoassay.